In this tutorial, you will be shown how to create your first map on your site using the Basic version of WP Google Maps. 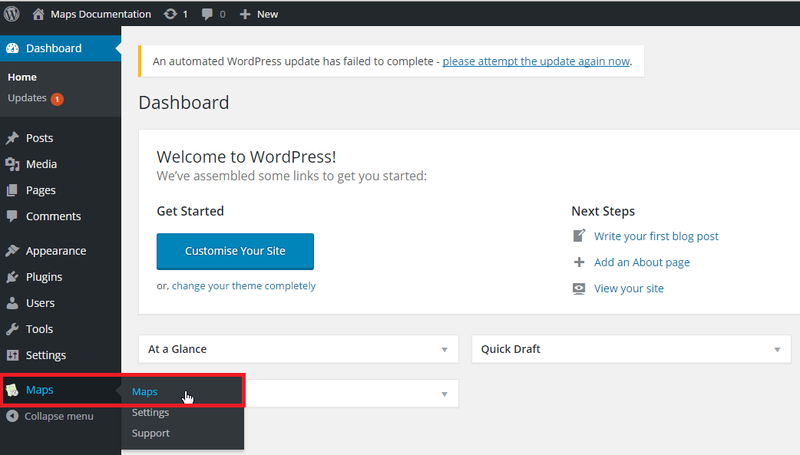 Select the Maps menu option while in your WordPress admin area as below. If you have just downloaded the plugin from WordPress, a map will already be created, however, it only has the default data that it was shipped with (one marker and a default theme). Select the map labeled “My first map”. This will take you to a new page. 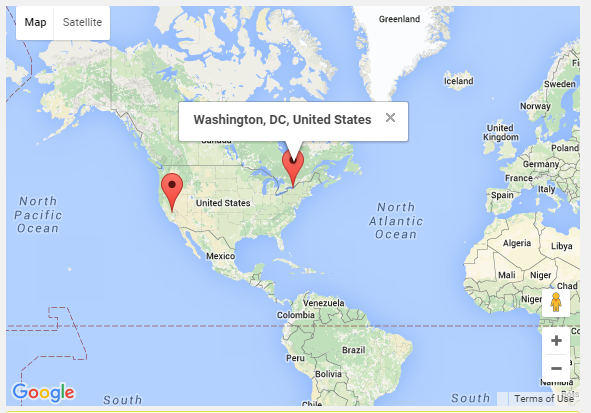 From here, you can create a new map with new markers and Polylines and Polygons for your site. To add a marker, you need to enter the Address or GPS location of where you want to place the marker. Choose your marer Animation style and if the InfoWindow is open by default. Click the “Add Marker” button. You should now see a new marker appear on your map. To remove the default marker, scroll down to the bottom of the page and select the marker to delete. This is the small “X” on the farright-handd side. The page will quickly refresh and the marker will be deleted. Once you have deleted a marker, it is gone forever (or until you place it back on you your map). Scroll back up to the top of the Map Edit page. Copy the shortcode, as shown below. Add the shortcode to your selected page and click Update. View your page. The map should be available on your site. If you need any assistance with this, please get in touch with us via our contact page.